“Venom” wins the weekend box office again with $US35.7 million. It’s the second-straight weekend that Sony’s Marvel movie has been number one at the domestic box office. Warner Bros.’ “A Star Is Born” continues to shine, coming in second place again for the second consecutive weekend. It’s now earned over $US94 million total. Universal’s “First Man” didn’t do as strong, as the $US59 million Neil Armstrong biopic only took in $US16.5 million its opening weekend. Sony is riding high at the moment. 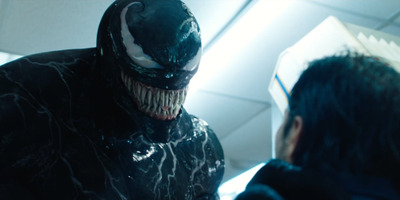 The studio has two titles sitting in the top five at the domestic box office this weekend – “Venom” won for a second straight weekend with an estimated $US35.7 million take, while “Goosebumps 2: Haunted Halloween” took in $US16.2 million its first weekend in theatres. For “Venom,” the studio can’t be happier how it’s performing despite the lousy reviews the movie got. The Marvel movie now has a domestic cume of over $US142.8 million. And add that with the strong performance by “Goosebumps 2,” the studio has passed the $US1 billion mark for 2018. This is the second consecutive year the studio has passed the milestone. It joins Disney, Warner Bros., and Universal as the other studios that have hit $US1 billion this year. 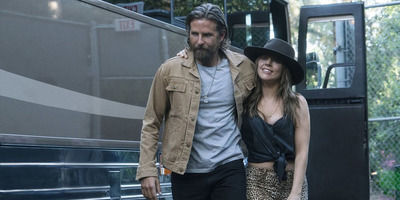 Also performing strong for a second week is Warner Bros.’ “A Star Is Born” with $US28 million. The studio’s big Oscar contender has become a must-see thanks to its memes, hit original song soundtrack, and (of course) its stars Lady Gaga and Bradley Cooper (who also directed the movie). After the movie beat “Venom” at the box office on Thursday ($US4.5 million over $US4.2 million by “Venom”), some in the industry wondered if the word of mouth for “Star” was so strong that it could top the box office over the weekend. It would have been quite a feat, seeing despite adding 22 screens this weekend compared to last (3,708), “Venom” was still on over 4,000. Still, “A Star Is Born” is doing quite well without topping the box office. With a domestic total so far of over $US94 million, the $US36 million-budgeted movie is going to be a cash cow for Warner Bros. the rest of the year. But the same can’t be said for Universal’s Neil Armstrong movie “First Man.” Budgeted at $US59 million (not counting the millions it put into advertising), Damien Chazelle and Ryan Gosling’s team-up following the success of “La La Land” didn’t grab audiences, as it came in third place. It only took in $US16.5 million in its first weekend in theatres (on 3,640 screens). This could mark the start of studios releasing dramatic titles in the coming months getting a harsh reality: Going up against “A Star Is Born”, there’s only so much money to go around. a star is born box office clusterstock first man media moneygame movies sony thelife thewire-us universal venom warner bros.